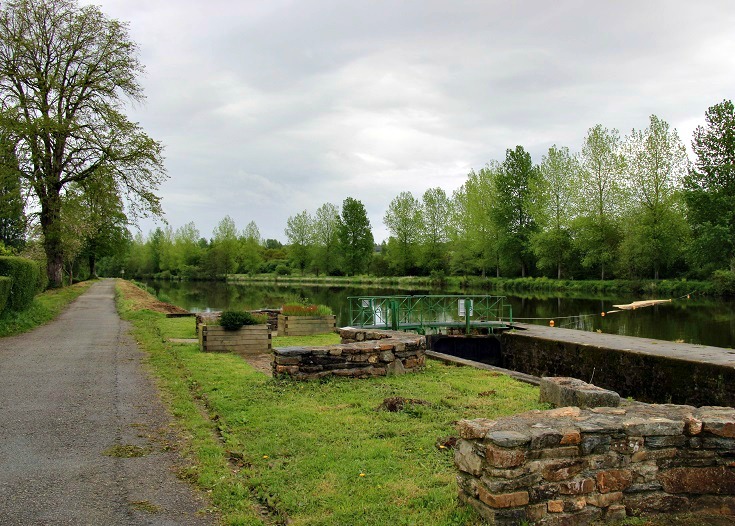 Meandering over 350 kilometres (220 miles) across northern France, the Nantes à Brest Canal transforms the natural river network linking the two towns into a navigable body of water. 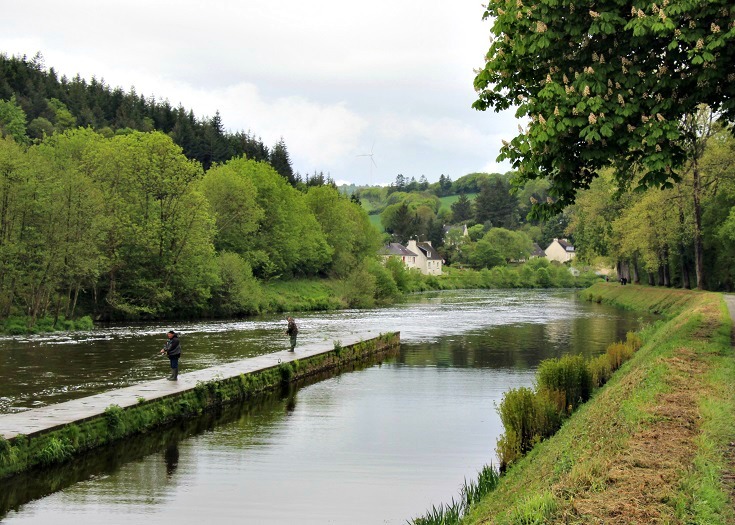 Halfway along, at Pontivy, the Blavet Canal peels away and continues south for 70 kilometres (44 miles) to Lorient on the southern coast of Brittany. 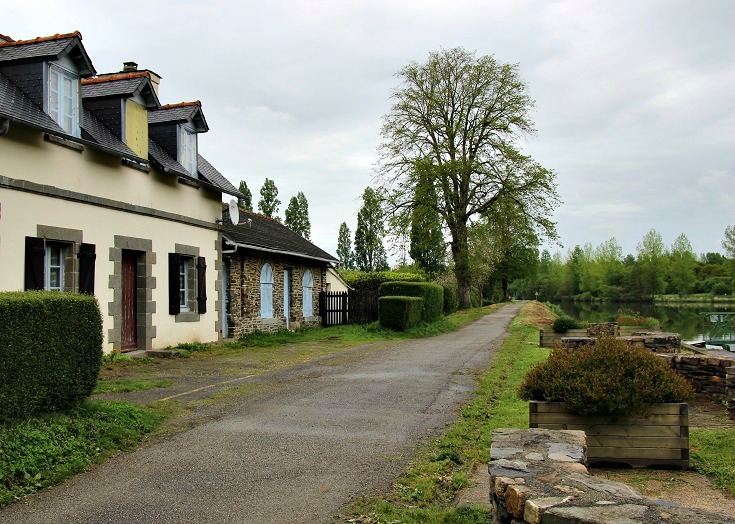 The towpath stops some way short of the coast at both ends, so I started my west-to-east journey in Port-Launay (inland from Brest), followed the Nantes à Brest Canal east for 150 kilometres (94 miles) to Pontivy and then headed south along the Blavet Canal for 60 kilometres (38 miles) to Hennebont (inland from Lorient). I confess I have mixed feelings about this walk. There’s no doubt that much of it is exceptionally pretty as you’ll see in the photos below, but it also felt quite monotonous for a lot of the way – hemmed in by tall trees and with little variety to break up the scenery. 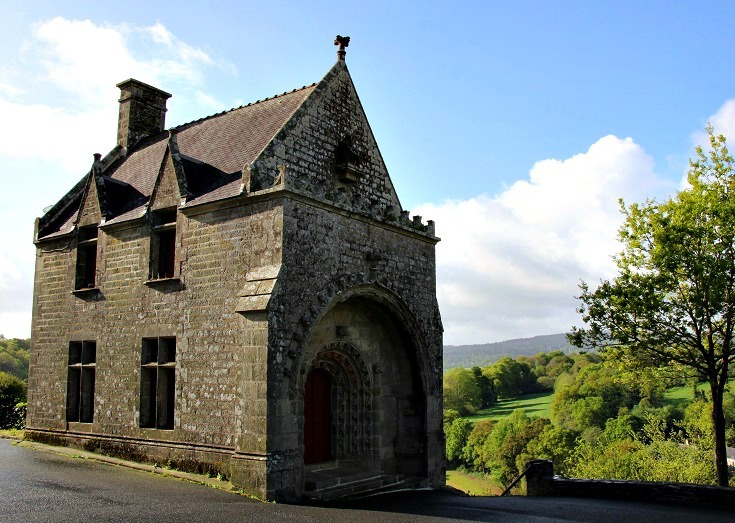 There were many highlights – the Abbaye de Bon-Repos and the chapels of Pitié and Gohazé, all on the canal! 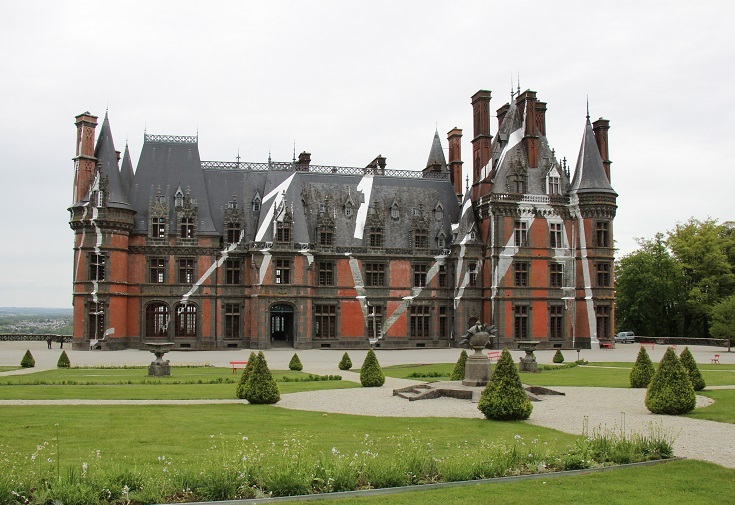 Château de Trévarez, a lovingly restored example of a nineteenth-century hunting lodge proved a worthwhile detour (located 4 kilometres from the canal near Châteauneuf-du Faou) for an afternoon. 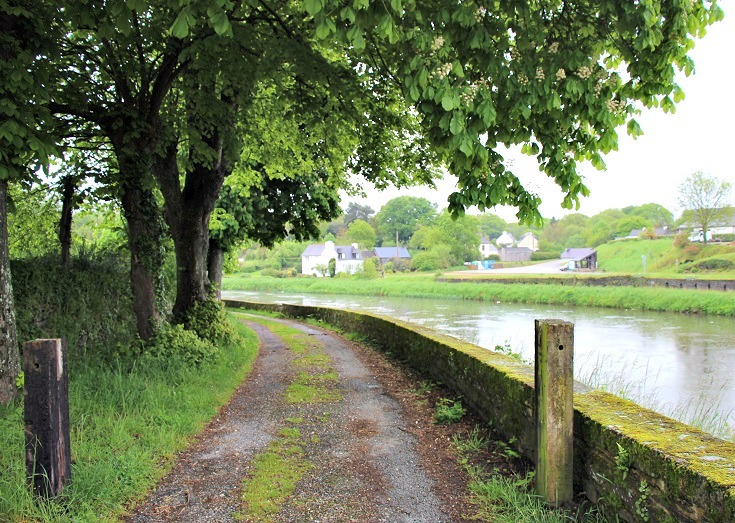 There had been a lot of rain in the weeks prior to my arrival and the vegetation along the towpath was lush and green. Yellow irises were blooming and the sunlight dancing off the rain-splattered trees was magical. I walked in May which is outside of the peak summer season. Most of the cafés and visitor centres close to the canal were closed (not opening until June) and the canal was incredibly quiet. I passed one boat in almost two weeks of walking and began to wonder if the locks still functioned. It was not until I reached Lochrist and saw a group of school children taking their kayaks through a lock that I was convinced this was a working canal. 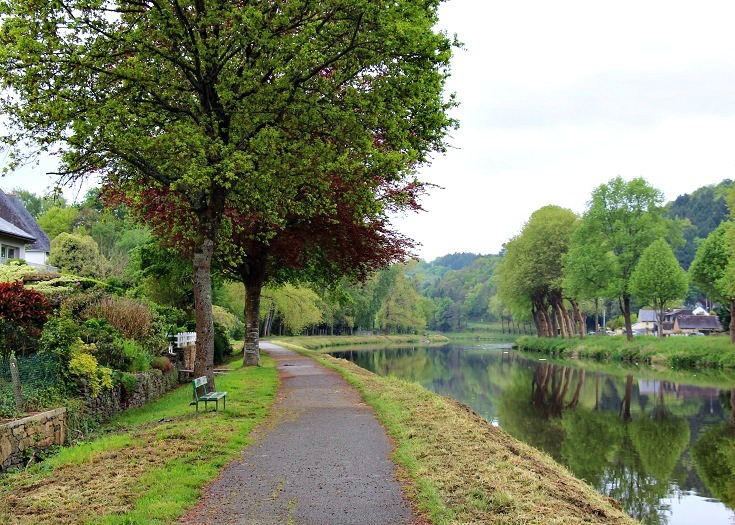 If you’re considering the Nantes à Brest Canal as a long-distance walk, I recommend going during the summer months when the cafés and visitor centres are open and the holiday crowds and boat traffic will add a much-needed sense of life. And if I could ride a bike, I would cycle instead of walking. 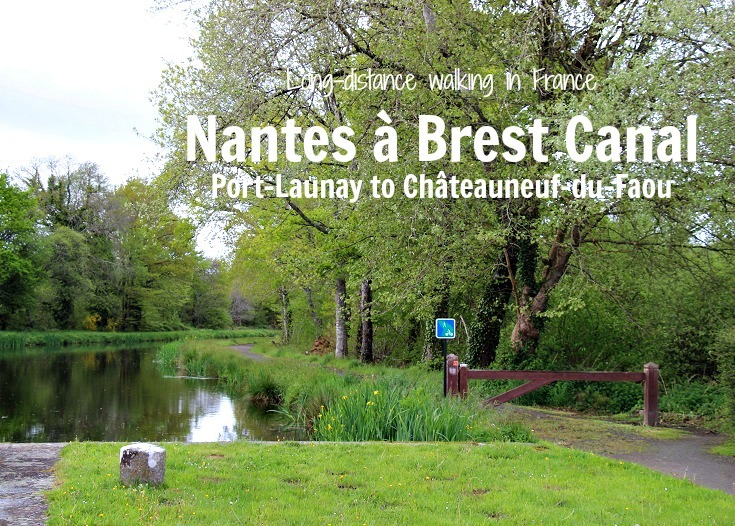 From a logistical perspective, the best place to start a west-to-east walk along the Nantes à Brest Canal is at Châteaulin – a town large enough to have all services and daily train and bus services providing connections all over France. It’s also the first section where l’Aulne river is canalised (who knew that was a word!). 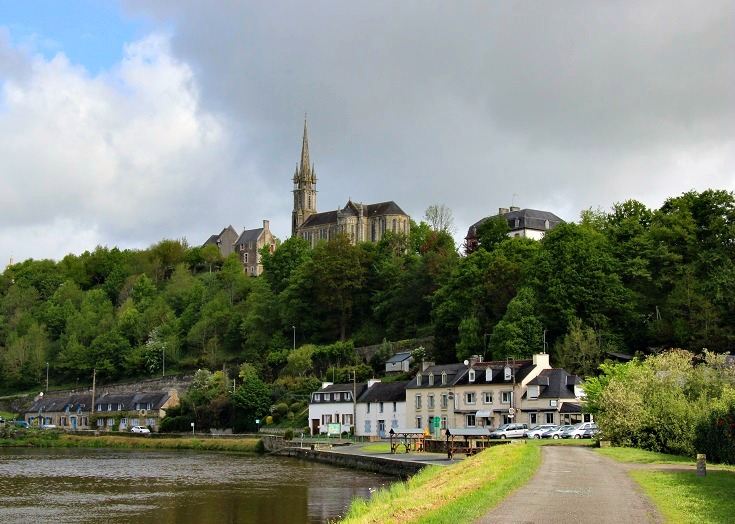 Let’s get started on the first section from Port-Launay to Châteauneuf-du-Faou – 45.7 kms (28.6 mi). Port-Launay is a few kilometres back towards Brest from Châteaulin, but well worth a visit and maybe a stop for lunch or coffee. Back to Châteaulin and the start of the walk along the Nantes à Brest Canal. 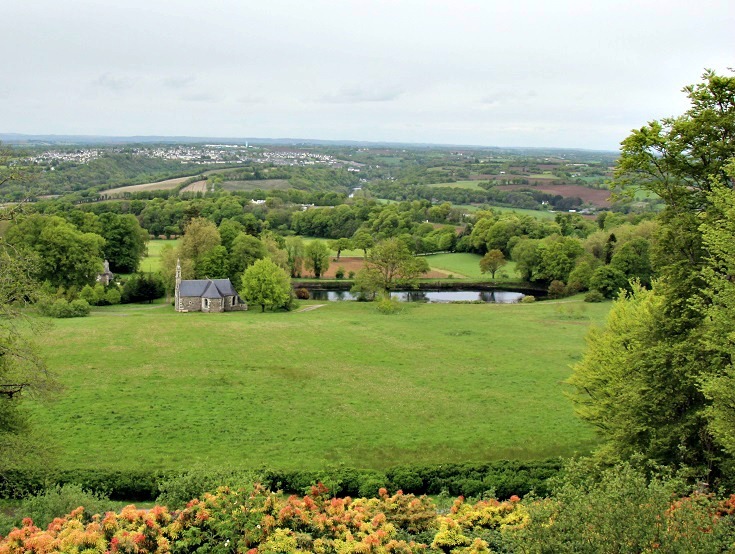 Leaving Châteaulin and heading east towards Pontivy. Somewhere between Écluse 236 Châteaulin and Écluse 235 Coatigrac’h. Lock house at Écluse 235 Coatigrac’h. Two fishermen try their luck at Écluse 235 Coatigrac’h. 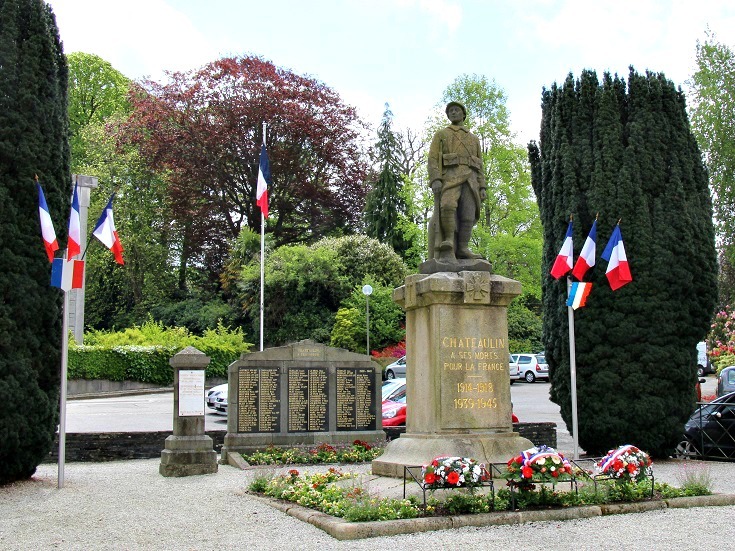 At Écluse 232 l’Aulne, a memorial honours twelve members of the local resistance which formed here in October 1943. 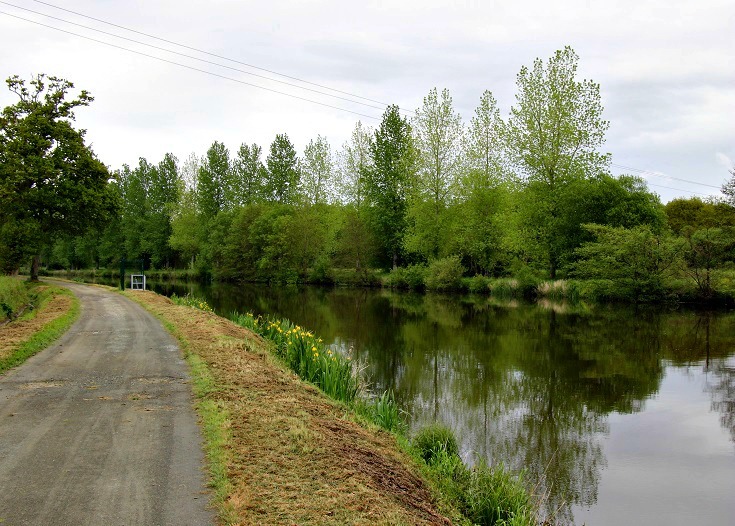 Resistance members met in caves on this section of the canal, but in April 1944, twelve were captured and held prisoner nearby after being betrayed by one of their own. 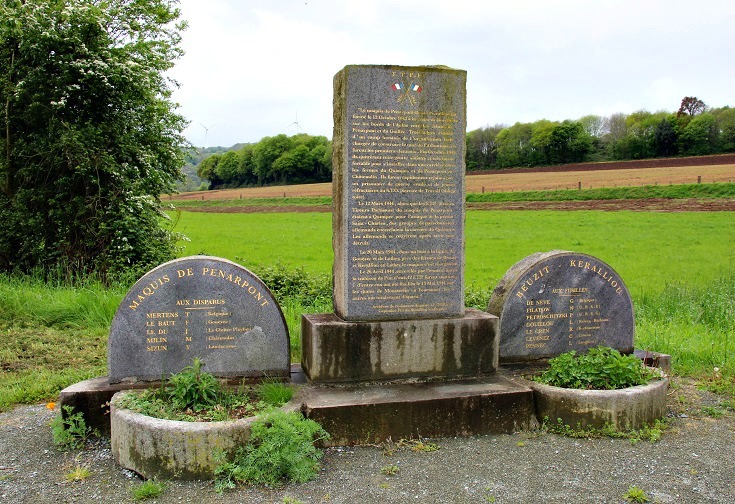 Less than one month later, seven of the twelve were executed – the other five according to the memorial ont disparu (which can mean they had disappeared or had died). 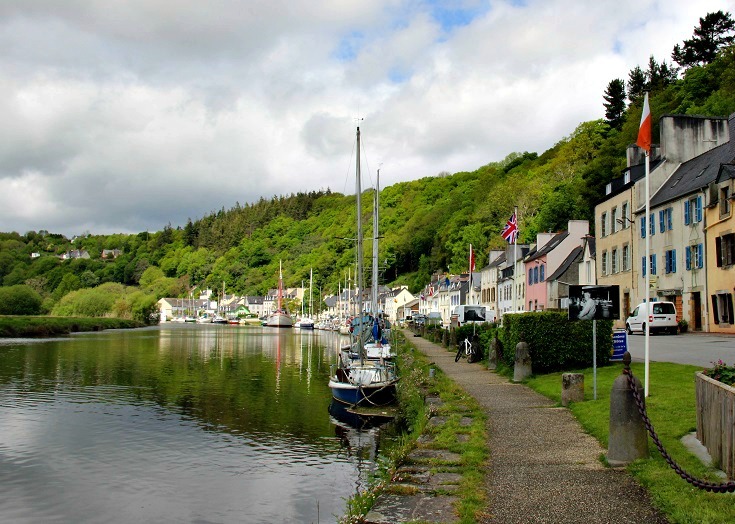 Twenty-four kilometres (15.3 miles) on from Port Launay is the tiny port of Pont-Coblant. There is a hotel here and several cafés, making it a good place to stop for the night after the first day of walking. Twenty-one kilometres (13.3 miles) past Pont-Coblant is the town of Châteauneuf-du-Faou. You’ll find all services here – a supermarket, pharmacy, ATM and lots of options for a meal or an overnight stay. A 40-minute walk (or a 10-minute taxi ride) from Châteauneuf-du-Faou is Château de Trévarez. 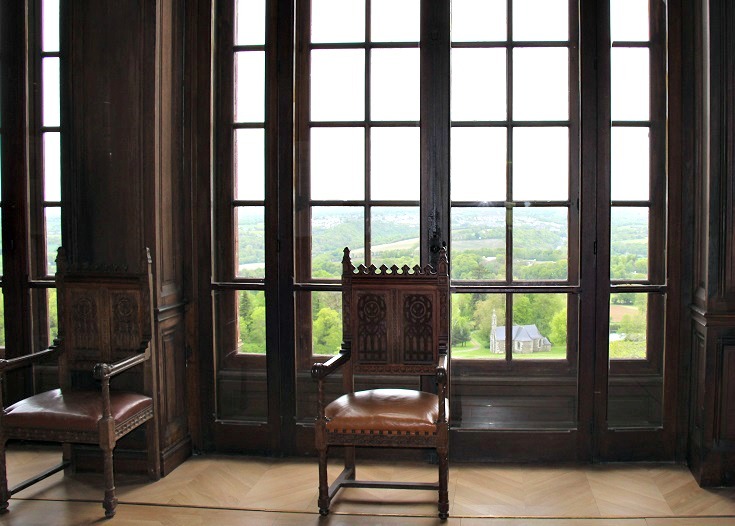 Open most afternoons throughout the year (hours vary), the château is packed with interactive exhibits and photos highlighting its history as a hunting lodge. Audio guides are available in several languages or you can wander through the rooms at leisure. 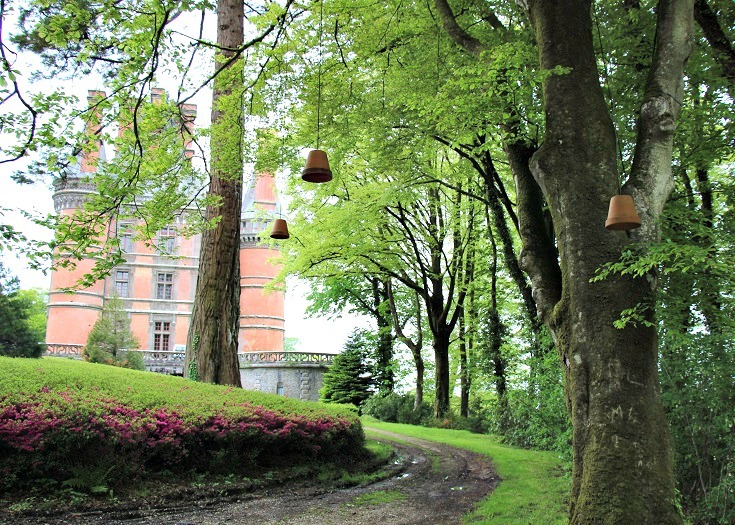 Terracotta pots hung from the trees at Château de Trévarez hide speakers which broadcast a story about the history of the château. Reflecting pond in the gardens of Château de Trévarez. The reception room in Château de Trévarez, where guests would gather for drinks before dinner, enjoys beautiful views over the fields. In summer time, the French doors would be open and guests would spill out on to the terrace. View from the terrace of Château de Trévarez. 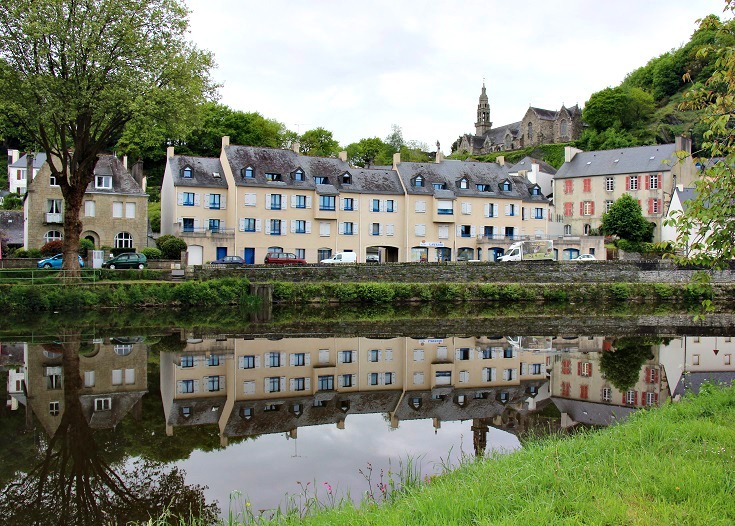 Where to next along the canals of Brittany?